Our Blockchain Spotlight series focus this time is on bitJob, a company that is focused on helping college students earn money, which as we know, they are perpetually short of. Having two kids in college myself with a third going next year, this subject is near and dear to me, so I wanted to understand what bitJob was doing that would “disrupt” this ecosystem. I spoke with Elad Kofman, company CMO and co-founder, to get some insights. bitJob can be looked at as being similar Fiverr and Freelancer, but the focus is on college/university students getting part-time, limited-scope work that can be done online. This allows them to work around their school schedules, earn money and gain experience. The platform is being launched on the Ethereum blockchain and is issuing their own STU token to be used in the system. In the first phase of their rollout scheduled for first quarter 2018, bitJob intends a partially decentralized hybrid model to help speed adoption and get people familiar with the platform using interfaces and currencies they are familiar with, in addition to supporting cryptocurrency. The second phase scheduled to roll out late 2018 and will encourage users to interact through the blockchain section of the system. The beauty of the pure blockchain model is that it is self-running in essence. Since agreements are executed in Ethereum “smart contracts,” it means that you are able to essentially automate the accounting within the transaction. You take away the expense and burden of transaction fees and a human being calculating your pay rate and processing payment. Everything happens in nearly real time, and there is no question of being stiffed by the company because the funds are tied to the smart contract, like an escrow account, and are released on completion. For the students, it will always be free for them to use the system with no fees associated with any student activity on it. For companies, they can list a position and the listing is free, but if they hire someone, there will be a flat rate that has yet to be determined. What if a student completes the task but the company says that they don’t accept the quality of the work? In this case, there is a review board that is staffed with top professionals at the universities that will review the conflict and present a ruling on it. The review board is compensated for their effort in STU coins, and these come from the store of coins that bitJob maintains. Over time, students in the system will be receiving ratings as to their performance. After enough 5-star ratings, the students could also be eligible to be a reviewer for conflict resolution. 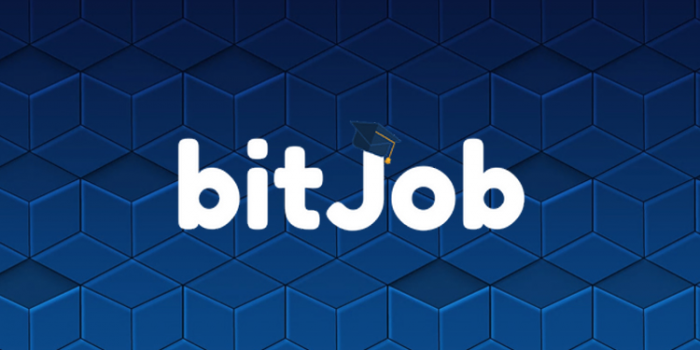 What is going to help bitJob grow quickly is their affiliate program. This is necessary for rapid adoption, otherwise, they would have to talk to every university and company directly. Look at the education market in India, for example. It’s the biggest in the world with about 300 million students. That is a big market to address, and bitJob is offering rewards to entice participation. Blockchain at Berkeley at UC Berkeley (Berkeley, California). McGill Cryptocurrency Club at McGill University (Montreal, Canada). University of Florida Bitcoin Club (Gainesville, Florida). Concordia Fintech Society at Concordia University (New York City, New York). The Ivey Business School at Western University (Ontario, Canada). Infolab at The Cyprus International Institute of Management. The Blockchain Education Network (Global). They are in the process of signing up Michigan University. They will be getting early adopter access to the system and should be fully live in the rollout scheduled for first quarter 2018.
bitJob just did a pre-sale of their STU token during the first two weeks of August and raised $1.2 million. Their upcoming Initial Coin Offering (ICO) will run from September 12 at 5pm UTC to October 13 at 5pm UTC with a max cap on the raise at $40 million. Some of these terms are possibly unfamiliar, but this is a way to participate in the company early. The company will post clear instructions on how to acquire their STU token before the ICO sale.